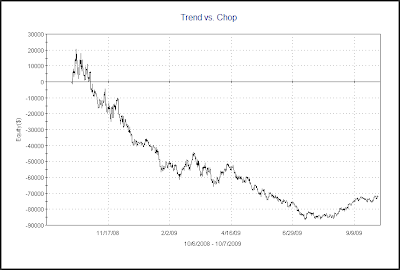 What's Happened To "2 Days Up In Chop"? When there is a rapid deceleration in what was once a sharp selloff that often indicates a bounce is near. I’ve shown some examples of this concept over time. 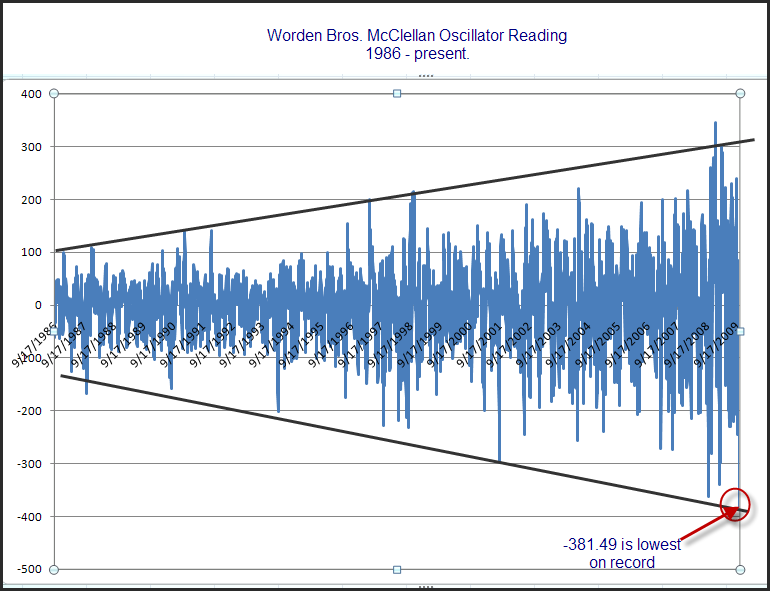 One way to look at deceleration would be by looking the size of the bars. 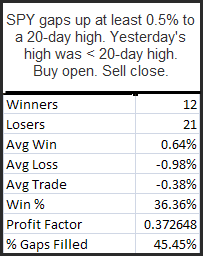 Friday’s Quantifinder found the following study from the 6/24/08 blog. This study uses WR7 and NR7 days. 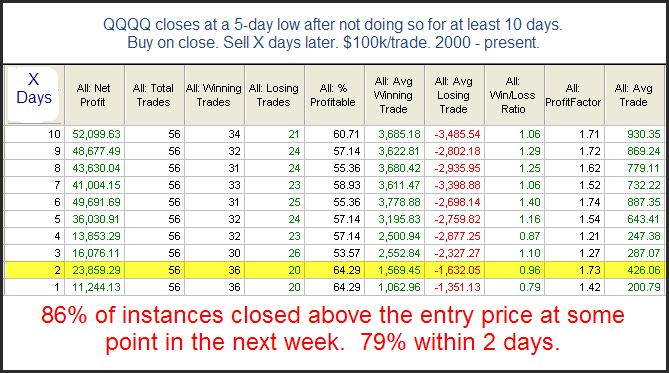 A WR7 is a day whose range is the widest in the last 7 days. 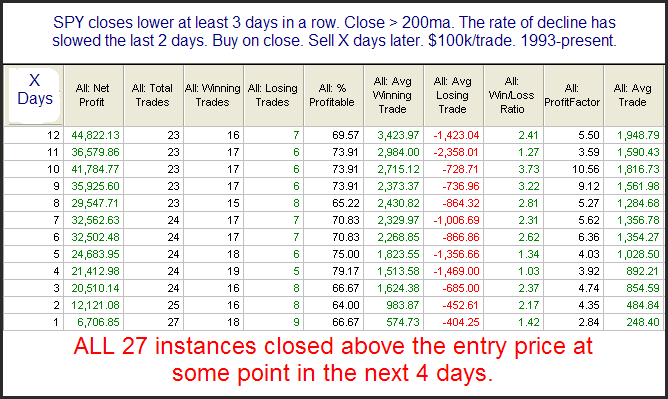 An NR7 is a day whose range is the narrowest in the last 7 days. All stats are updated. 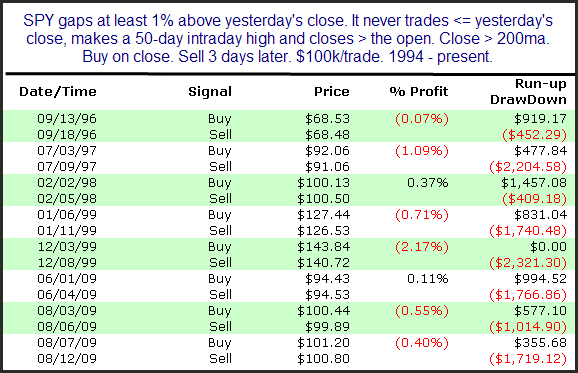 This study suggests a decent upside edge over the next week-plus. One aspect of this study that I find particular appealing is that it has been consistent over time. 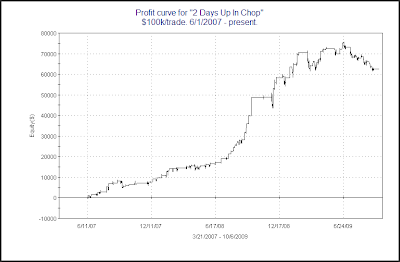 Below is a profit curve using a 5-day exit strategy. 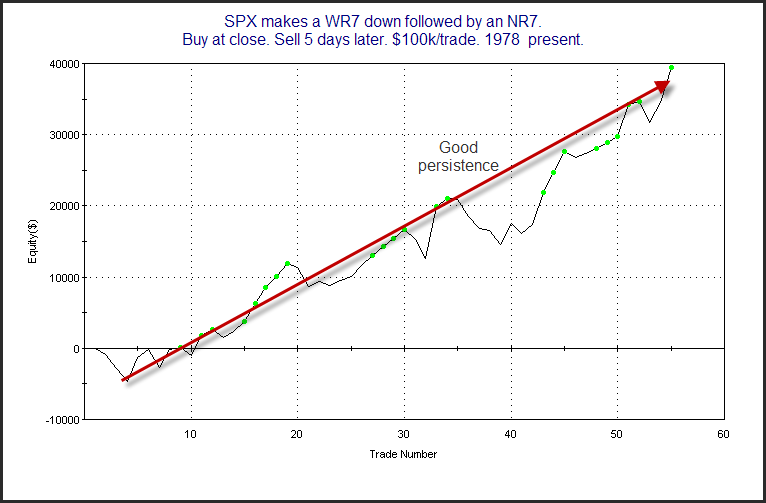 The consistent upward slope shown here is preferable to a jagged equity curve or one where most of the profits were made in a small number of trades. Below is an excerpt from a special report that was sent to subscribers yesterday around noon. 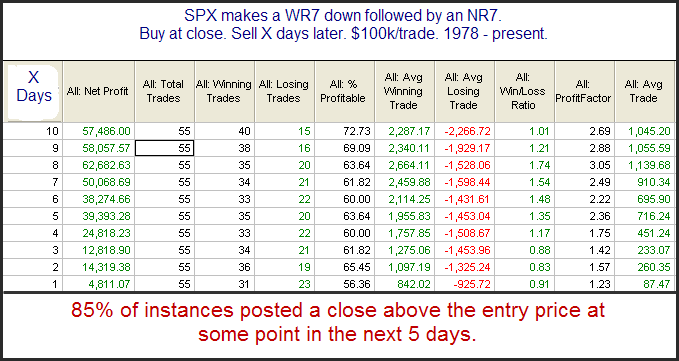 This study examined performance after the SPX declined the last 2 days of a quarter. 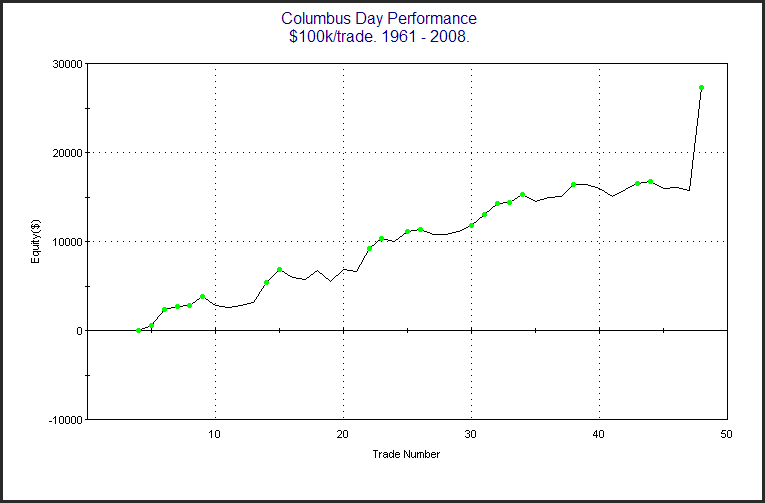 86% of instances were trading higher 2 days later and the average trade was 1.2%. This suggests a decent upside edge for the next couple of days. A more detailed look at this study may be found in last night’s Subscriber Letter. To view it in full you may take a free trial. If you have trialed Quantifiable Edges before but not since 6/1/09 you may send a request to support @ quantifiableedges.com (no spaces).